Shelving is just shelving—or is it? No matter the type, weight, or bulk of what you need to store, there’s a metal shelving solution to fit it. Spacesaver’s metal shelving options can help optimize your available space and organize the things that are important to your bottom line. An attractive and versatile storage option, our 4-Post and Case-Type shelving is universally slotted—meaning that options like adaptable shelves, file and bin dividers, and divider rods are available and easy to install and adjust. These options combine to create a way to stack boxes, organize files, and store other materials all on the same storage system. 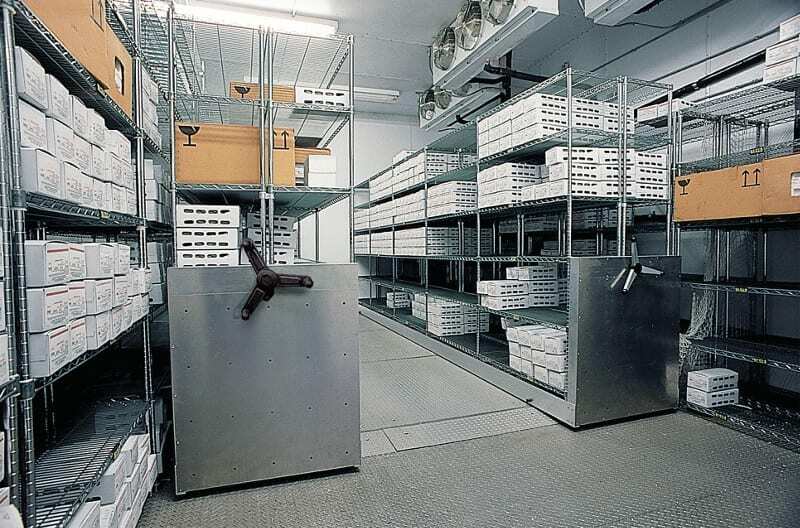 Wire shelving is a must for any sterile environment, from healthcare facilities to food service storage. Our metal shelving features easy installation with no tools required. Finishes are available in Chrome Plus (SH), which is ideal for high visibility and dry storage areas, or Duro-Seal (PW) for high humidity storage applications such as walk in refrigerators and freezers. 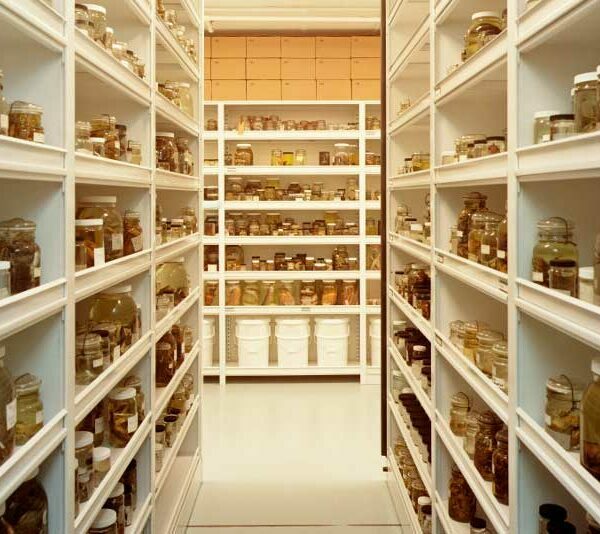 Tough and versatile, Spacesaver’s RaptorRAC Wide Span Shelving is built to last. This metal shelving option provides a platform for storing a variety of heavy and bulky items. It comes in an array of standard and configured sizes, making it possible to build a custom shelving system for your specific needs. The installation of the product is quick and can be relocated easily. Horizontal “Z” beam design provides strength and stability to support heavy loads. 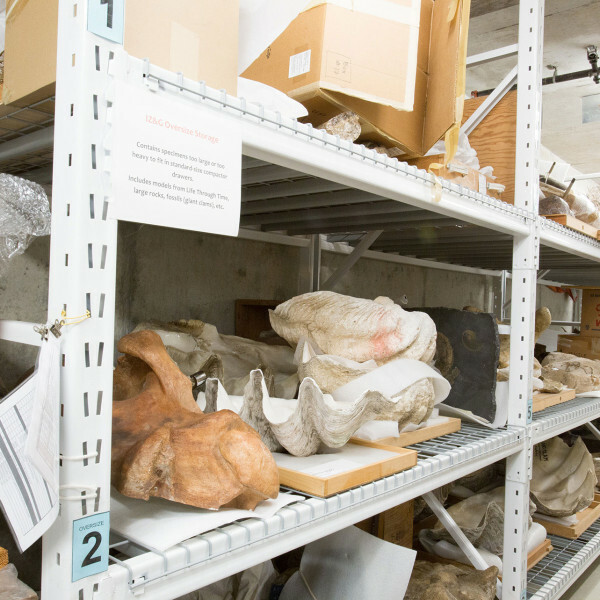 Chicago’s Field Museum designed a Collections Resource Center (CRC) to keep up with the consistent increase of artifacts in their inventory. 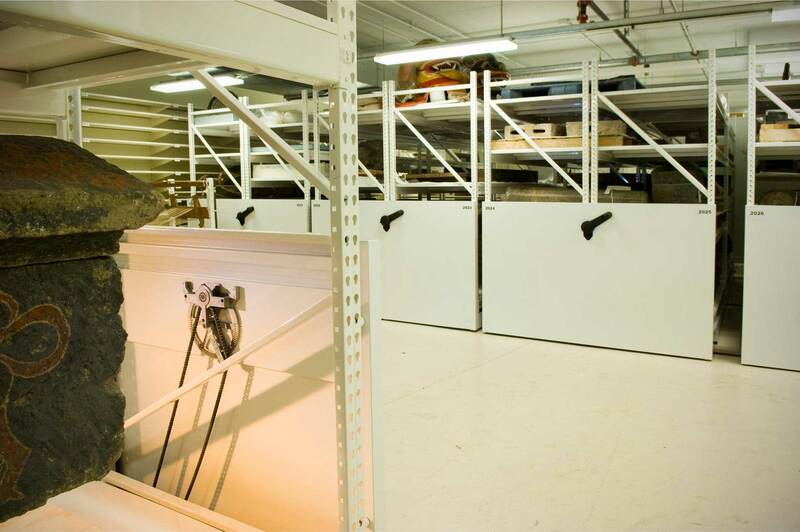 In the CRC’s Geology Room, large pallets of fossils were stored and protected on wide-span shelving used in conjunction with a high-density mobile storage system. Scientists could quickly access specific fossils using narrow aisle forklifts, and were able to easily transport fossils to nearby tables for study purposes.